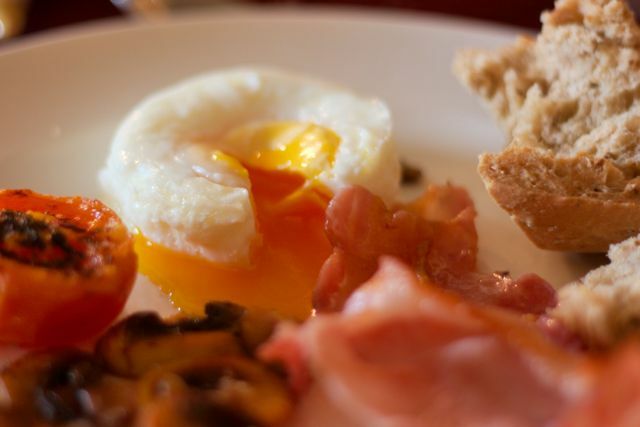 We provide a breakfast tailored to your requirements, a full English breakfast consisting of bacon, local free range eggs, delicious sausages, grilled tomatoes, and freshly cooked mushrooms. Vegetarians, vegans and those with specific dietary requirements are welcome. An example breakfast would be made up from of a selection of smoked tofu sausages, grilled tomatoes and freshly cooked mushrooms. Additional options are available on request. Poached Eggs, Bacon, Tomato, Bread and Mushrooms. 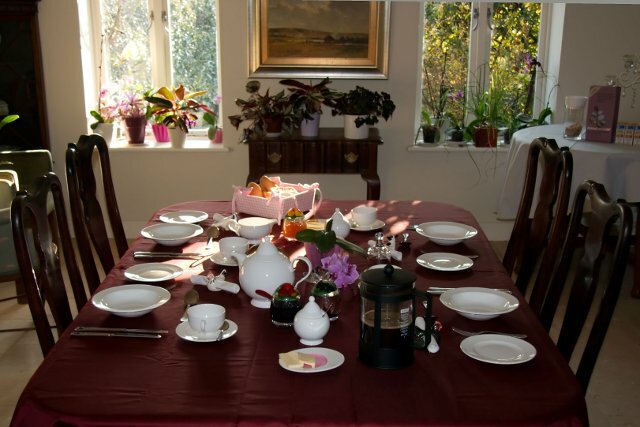 Our dinning room, ready for breakfast. 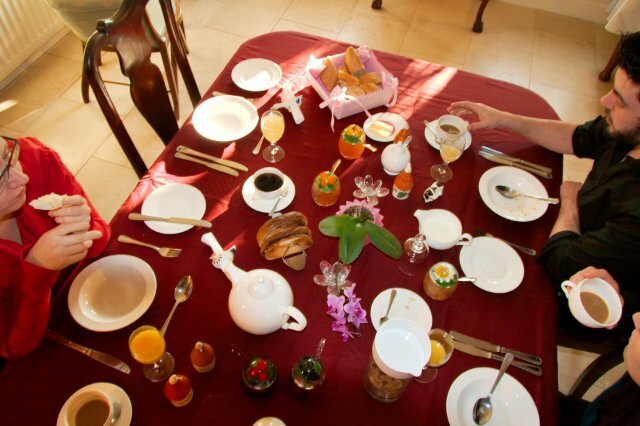 Some of our guests enjoying breakfast.